Stellography | What are they doing? My number one dream (Electra) has always been to return to live in Germany for a year or so, to once again immerse myself in the culture and really work on improving my language skills. Now with a family in tow this extended to wanting to share this with them, so they can experience another culture and learn another language too. 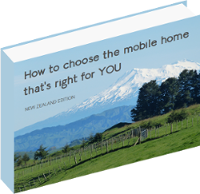 We initially thought that one of the steps to doing this would be to buy a motorhome to travel around NZ while we tried to find a way of deriving an income that might sustain us overseas. That didn't happen as we couldn't find the right vehicle at the right price at the right time, nor the right idea. After several years, time felt as if it was running out with Vega leaving home soon, that we decided to 'just do it' - head to Germany and Europe albeit as nomadic tourists rather than permitted residents, drawing on all of our life savings to do so. Printed from http://www.stellography.com/what-are-they-doing on 24/04/2019 - 01:03.